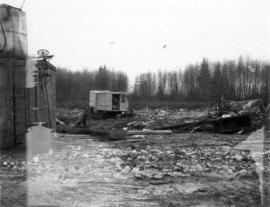 Arrow on photograph indicates gravel dumped by A.B.C. 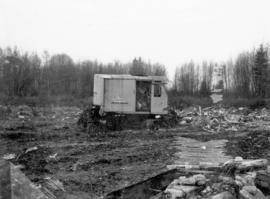 Salvage Truck. 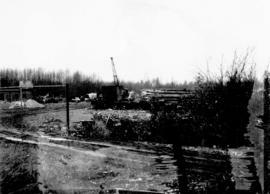 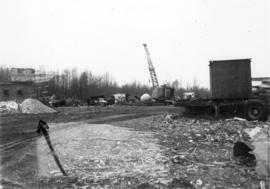 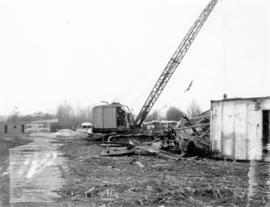 Photograph shows bulldozer operating on site. 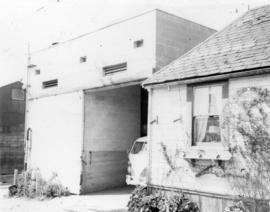 Photograph shows Don Huish Interiors sign. 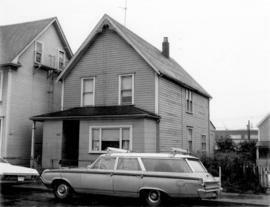 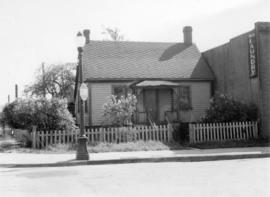 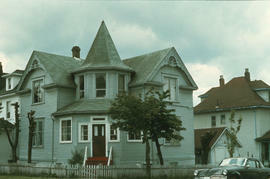 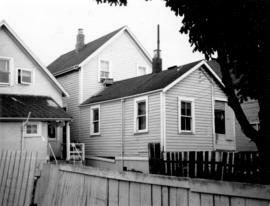 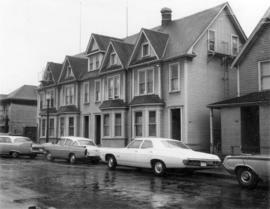 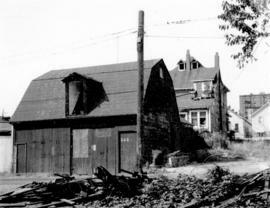 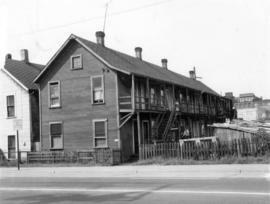 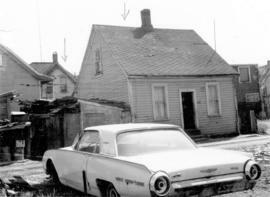 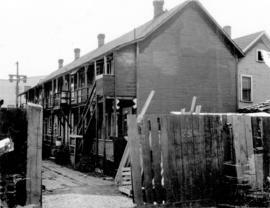 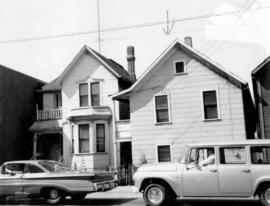 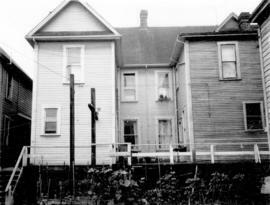 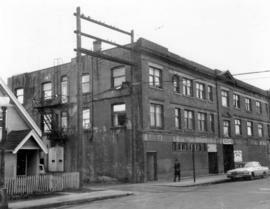 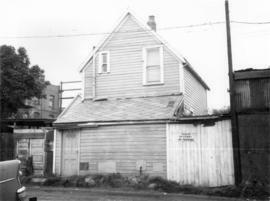 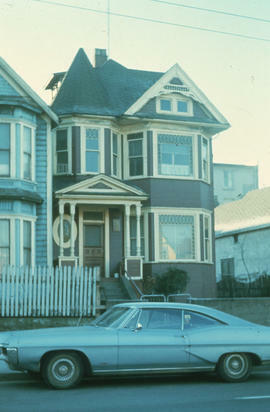 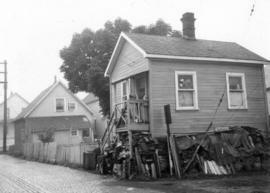 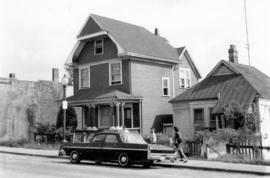 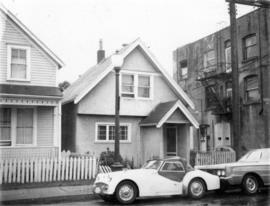 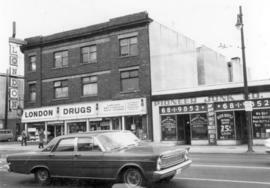 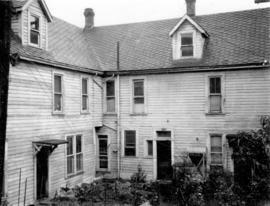 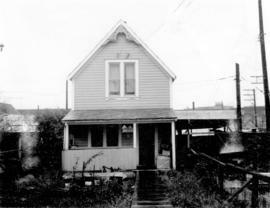 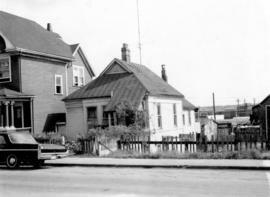 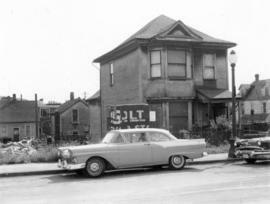 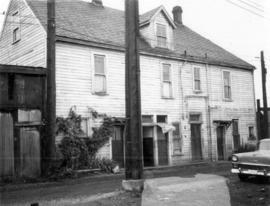 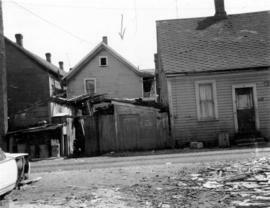 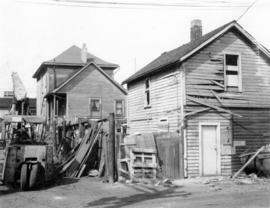 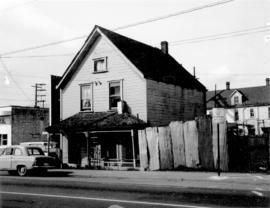 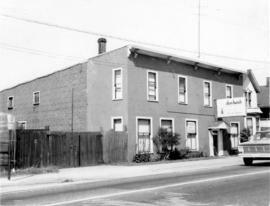 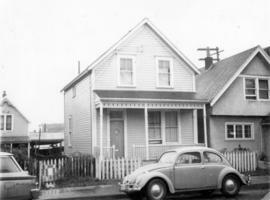 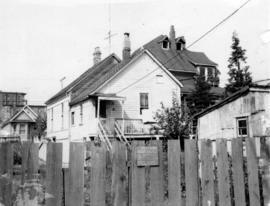 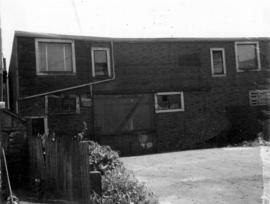 Photograph shows the house at 278 Union Street beside the Union Laundry building. 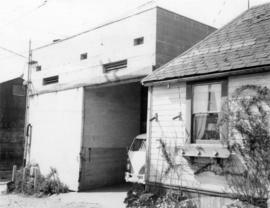 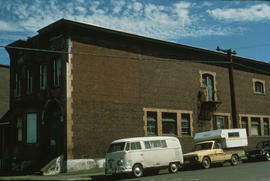 Photograph shows the back of the building and 208 - 214 Union Street. 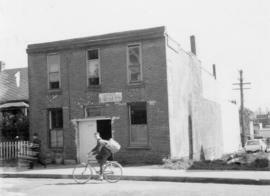 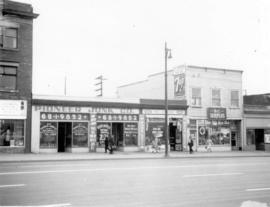 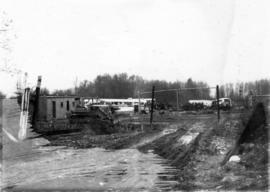 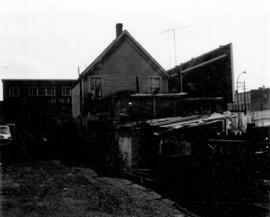 Photograph shows Pioneer Junk Co. (818 Main Street), Park Grocery (822 Main Street) and BC Supplies (826 Main Street). 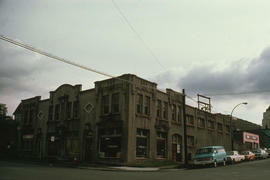 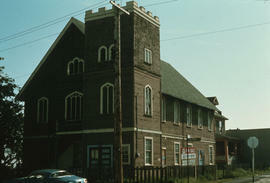 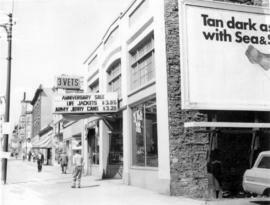 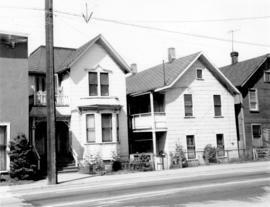 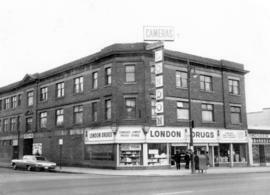 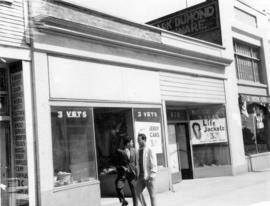 Photograph shows 3 Vets (830 Main Street and 832 Main Street). 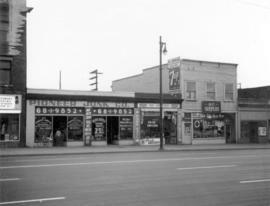 Photograph shows 3 Vets War Surplus store.